The Avengers : Series 6 : Split! Frank Compton (Iain Anders) returns from assignment to the heavily-guarded Ministry of Top Secret Intelligence, declaring that all is right with world and they can rest easy. He offers Harry Mercer (Maurice Good) a drink, but Mercer declines, wanting to finish some reports. While Compton mixes a drink, the 'phone rings and Mercer hears the caller ask for Boris. 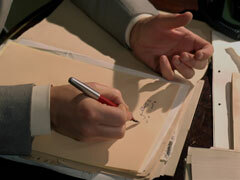 He hangs up but his left hand starts to curl and his handwriting changes - when Compton returns, Mercer shoots him and casually wipes the gun, then resumes his report. A moment later, he notices Frank's body under the table and calls security, alarmed that Frank has been murdered. Tara escorts Lord Barnes (Nigel Davenport) to the Ministry where Major Rooke (Julian Glover) is supervising the investigation - Steed is already questioning Mercer. Mercer declares that Compton must have been lying on the floor, unnoticed, the whole time he was writing his report, shot by his own revolver. Tara slips Mercer's reports inside her coat while they discuss the case, and Steed answers the 'phone - another call for Boris, and Mercer's hand curls again; he dismisses it as a legacy of Berlin, October '63 when Steed notices it. 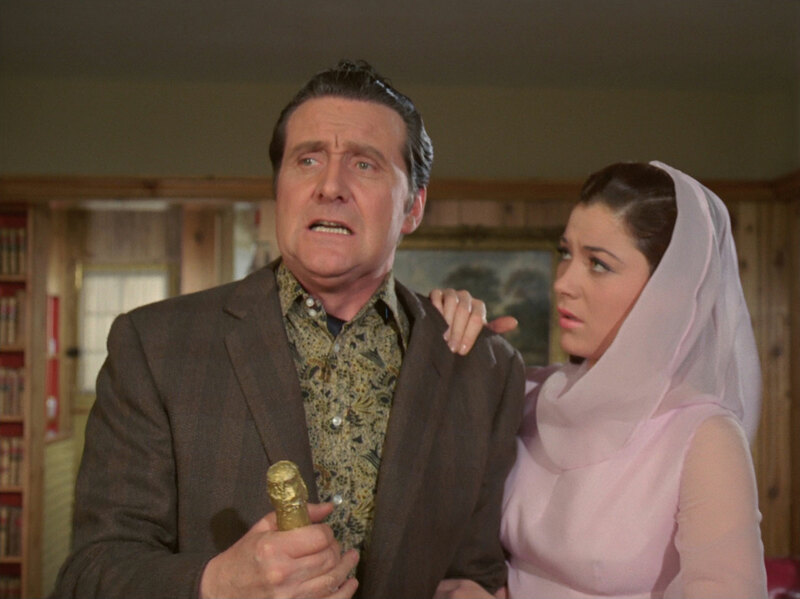 Later, Steed realises Mercer was mistaken - or lying - about the date, as Steed had been in Berlin at that time. 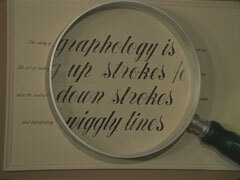 Tara says it's not all he'd mistaken, and shows him the changed handwriting at the end of the report. They call in a graphologist, Swindin (Christopher Benjamin), to examine the report and he declares them written by two different personalities, the first trustworthy and loyal, but the second is a cunning, brutal, ruthless extrovert - yet they are by the same hand. 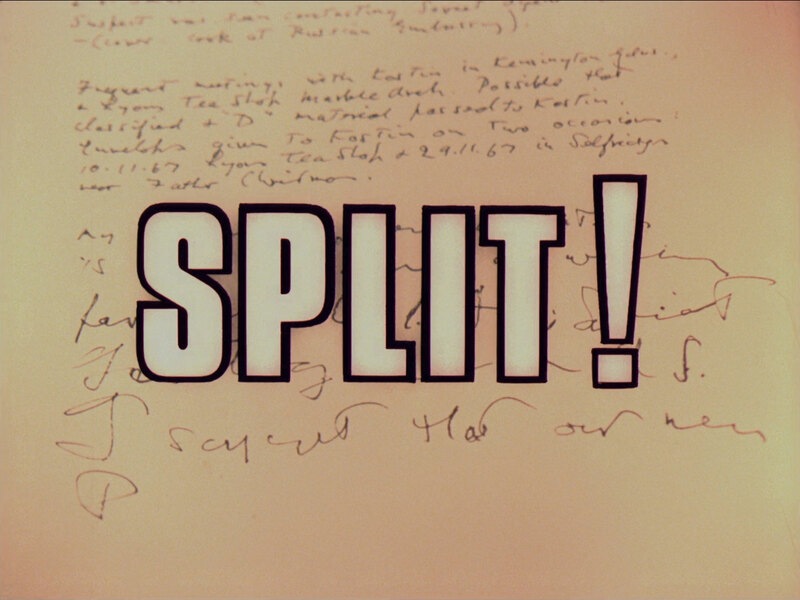 Steed calls Rooke, asking if he has a sample of the handwriting of Boris Kartovski, an enemy agent he encountered in Berlin, October 1963. 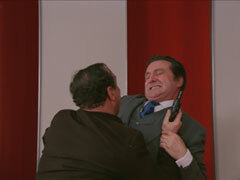 Later, Mercer tries to fight when his hand starts curling again, and he rings the Nullington Private Hospital, where the nurse, Petra (Jayne Sofiano), puts him through to Dr Constantine (Bernard Archard) when she realises who she is. Constantine and Hinnell (John G. Heller) are disturbed to hear the personalities warring inside Mercer's head and tell him to come to the hospital for treatment. Constantine tells Hinnell there was always a risk of failure; Hinnell insists they can't stop when they are so close to destroying the Ministry from within. Some time later, Lord Barnes receives a 'phone call for Boris - he heads straight to the Ministry and guns down Mercer, who leaves a note reading "Help me". Mercer's death is investigated, Rooke handing Steed Mercer's file and some of Kartovski's writing; Barnes experiencing the same amnesia as Mercer had. Steed notices Mercer had been admitted to the hospital after a minor car accident, which Barnes discounts, saying he had one a while back too. Nonetheless, Steed goes there and is told that Mercer was a simple concussion case who was admitted for no longer than an hour or two. He departs then pulls to the side of the road and calls Barnes, asking him about his hospital visit and arranges to visit Barnes - Barnes' left hand curls up. Barnes dismisses the butler for a few hours and lays a trap for Steed - knocking him down then limping from the room. Barnes returns moments later, walking normally, and rushes to his aide. Tara visits Swindin with the sample of writing and is informed it's the work of the same dangerous personality. Meanwhile, Barnes claims not to recall which hospital he was admitted to. Barnes notices his sinister side taking over and writes a warning. He calls Steed, asking him to return immediately, then handcuffs himself to a chair. 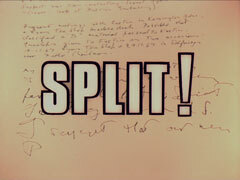 Minutes later, Rooke arrives at Steed's apartment with a letter written by Barnes that also exhibits Kartovski's handwriting and they set off in pursuit. Steed discovers the handcuff opened - Barnes has driven to Nullington but, confused, leaves again without entering the hospital. Rooke is convinced Barnes is a dangerous traitor and shoots him when he returns home, just as he was about to tell Steed something. Rooke declares Barnes was Kartovski but Steed says that's impossible, he shot Kartovski through the heart in 1963. At the hospital, they prepare for an operation, Kartovski (Steven Scott) lying immobilised on a special gurney layered with ice. Constantine is proud of his skill in keeping their greatest agent alive and his development of a device for infusing Kartovski's ego and personality into the body of other men. Hinnell enters and informs them Barnes is dead - they'll need a replacement. Constantine decides this time they try putting him in a woman's body - Tara's! She's captured by another faked road accident and delivered to the hospital, then wheeled in to the operating room, bound and gagged. Miller, meanwhile, tells Steed that Barnes was distraught and he thought an accident had occurred as Barnes mentioned "having to get to the hospital". Steed sets off to where Tara is being told to relax, she will feel not pain. Boris is ordered to "think" nice thoughts"; Constantine & Hinnell decide to celebrate with a bottle of wine and leave the transfer to take place. 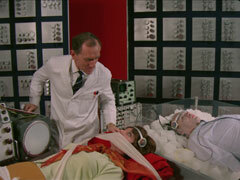 Steed enters the hospital and makes short work of Petra and Morrell, then enters the operating room. He frees Tara from her binds and turns off the machine, then marvels at Kartovski lying before him. Tara shows him the mind transfer device and is ordered back to the Ministry to alert Rooke. She fights her way out past Morrell and an orderly who had come to his aide, while Steed goes through the files, finding records of experiments on Mercer, Barnes and..interrupted by Hinnell & Constantine. He disarms them and they fight, Hinnell managing to break the life support machine and shoot Constantine and himself during the struggle. Steed returns to the files and find the last experiment was on Rooke. Rooke meanwhile has pulled a gun on Tara at mention of Nullington and stammers that he is Boris. Rooke fights for ascendancy in his own mind and Steed bursts in, calling him by his full name; Rooke puts down his gun and orders him to pick it up and kill him but Steed knocks him out instead. Tara arrives at Steed's, dressed in a tulle evening gown and is invited to make herself a drink while he gets ready. She lists a string of improbable ingredients and Steed replies, "Third drawer down" - which contains champagne on ice. Tara is startled when he mentions 'changing' and sees his left hand curl as he struggles to put on his jacket. Steed smiles and says he was just changing his suit to which Tara quips she was worried 'who had got into you'.